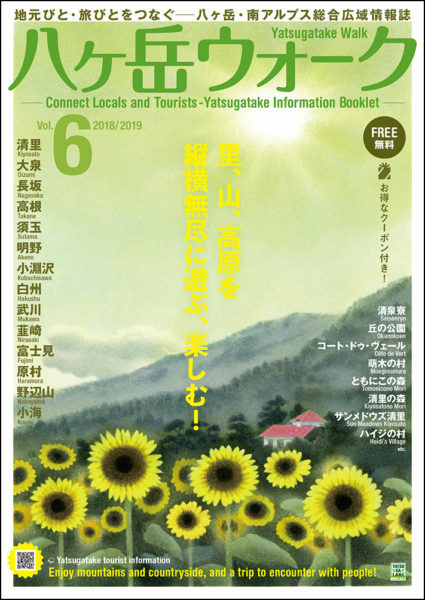 “Yatsugatake Walk” is the perfect tourist guide about the Yatsugatake area. This website does not only provide you with spots’ information, but also with stories about the people living here. We would like to share with you, the beauty of the area.